Your life may have changed; NHS general practice is changing too. Perhaps you took a break to raise a family, work abroad or gain experience in a different profession or role. Whatever your reason for taking a break, you’ll be coming back to one of the most 􏰆􏰁􏰒􏰌􏰆􏰑􏰓􏰂􏰔􏰩􏰊􏰇􏰋􏰌􏰖􏰖􏰁􏰂􏰔􏰓􏰂􏰔􏰩􏰊􏰦􏰁􏰧􏰓􏰞􏰖􏰁􏰊􏰌􏰂􏰑􏰊􏰑􏰓􏰕􏰁􏰆􏰅􏰁􏰊􏰇􏰌􏰆􏰁􏰁􏰆􏰅􏰊􏰓􏰂􏰊􏰉􏰁􏰑􏰓􏰇􏰓􏰂􏰁􏰤rewarding, challenging, flexible and diverse careers in medicine. 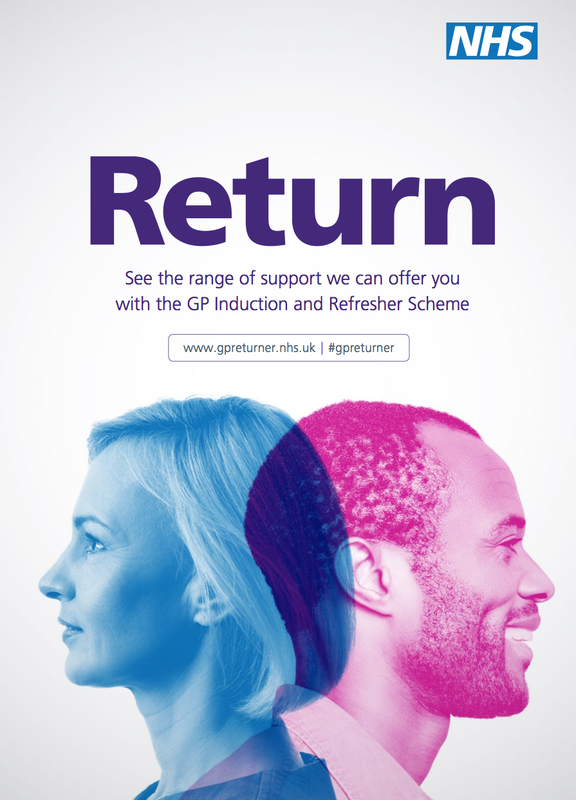 See https://www.gpreturner.nhs.uk for more details.